Konica Minolta will exhibit diverse inkjet print heads include use of MEMS technology. We look forward to seeing you at Konica Minolta stand in INPRINT2015. Konica Minolta will be demonstrating the newest textile printer as lineup of Nassenger PRO series. We look forward to seeing you at Shanghai. Konica Minolta will be demonstrating the newest textile printer as lineup of Nassenger PRO series and the new Inkjet XY print system developed by Industrial Inkjet Ltd in UK. We look forward to seeing you at London. Konica Minolta IJ will be demonstrating the latest inkjet textile printers at our stand. We are undertaking final preparation with utmost effort in order that we may exhibit our latest Inkjet printers, printheads, inks and related products in drupa 2012. 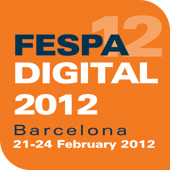 We look forward to seeing you at drupa 2012. Konica Minolta IJ will be demonstrating Nassenger PRO 60 and New Colourprint which equipped the latest printheads at our stand. Konica Minolta IJ will be demonstrating the latest inkjet textile printers with equipped new printheads at our stand. Konica Minolta IJ will be demonstrating Colourprint 282, full-colour single pass inkjet print engine equipped with KM1024 printeheads at our stand. Konica Minolta IJ will be demonstrating a new inkjet print engine, Colourprint developed by Industrial Inkjet Ltd at Konica Minolta Business Solutions Europe stand (Stand No. 9-DE340). Konica Minolta IJ will be exhibiting an Inkjet print engine, Colourprint 144 at Konica Minolta Business Solutions USA stand. ( North Hall Stand No. 6118 ). Konica Minolta IJ will be exhibiting inkjet full-colour print engine, Colourprint144 at Konica Minolta Business Solutions France booth (Stand No.4D 088). Konica Minolta IJ will be exhibiting New Inkjet Textile print system, Inkjet full-colour print engine and so on. Konica Minolta IJ will be exhibiting Inkjet full-colour print engine developed by Industrial Inkjet ltd.
Konica Minolta IJ will be exhibiting Inkjet print units for label printing. Konica Minolta IJ will be exhibiting IJ Texstile print system. Konica Minolta IJ will be exhibiting our latest Inkjet products, Inkjet print units, Printheads, Inks and so on. 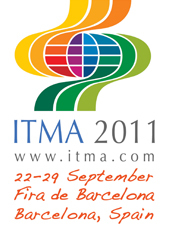 We look forward to seeing you at drupa 2008. Konica Minolta IJ will be exhibiting IJ Texstile print system etc. Konica Minolta IJ will be exhibiting IJ Texstile print system,IJ label printer, etc. Konica Minolta IJ will be exhibiting IJ Texstile print system, etc. Konica Minolta IJ will be exhibiting head components, etc. Konica Minolta IJ will be exhibiting label printers, etc. Konica Minolta IJ made a presentation on recent IJ head developments. Konica Minolta IJ exhibited head components, etc. Konica Minolta IJ exhibited head components, etc at Toyo Ink Booth. Konica Minolta IJ exhibited head components, etc at Harima Kasei Booth. Konica Minolta IJ exhibited an IJ textile printer.